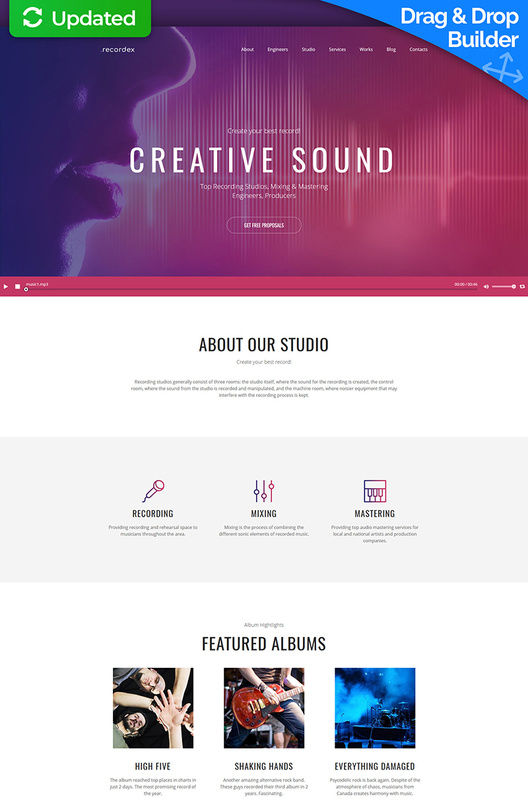 Recordex is not your regular website template. Build using the most cutting-edge technologies and web design trends it provides you with a sustainable online platform for promoting your music and events. It comes with an integrated audio player widget, and also supports video and other rich media content. This well-structured template includes everything you need to create a comprehensive website and bring your entertainment business online: blog functionality, various forms, a contact page, a customizable portfolio, and more. As any Moto CMS 3 template, this one includes a visual page builder, which allows you to modify the layout of your website in an easy drag & drop way.